Located in the Negev Desert, in between Eilat and Beersheba, Mitzpe Ramon is the perfect “vacation from a vacation” during a trip to Israel. Tel Aviv, nicknamed the White City will take your breath away! 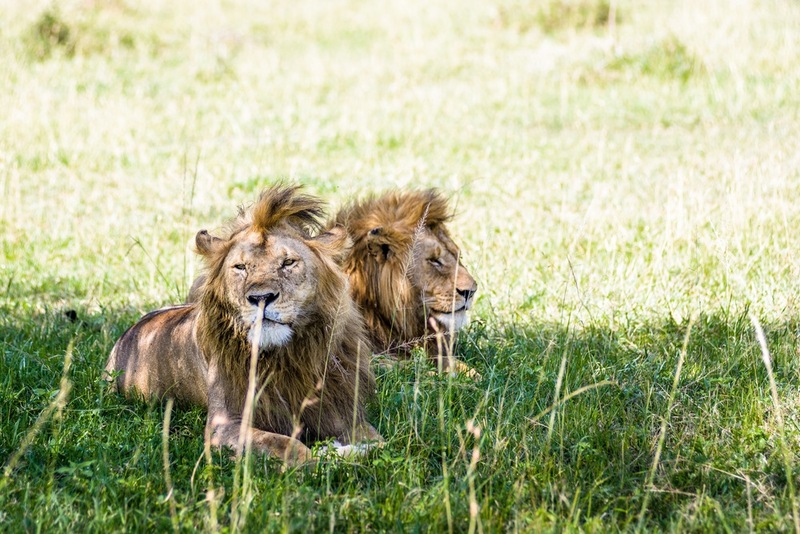 Daytripper365 is excited to share a second dispatch from Africa from Greg Lederle, founder of the boutique travel agency Lederle Safaris. An African safari ranks high on many people’s bucket lists. It’s a trip that’s crucial to plan with the right outfitter, the right expert. We listened when our good friend Robert, just back from a family safari in South Africa, raved about Greg and his wife Riana, calling them the equivalent of rock gods when it comes to luxury safari travel. In fact, he was so impressed with Lederle and their trip that we immediately got in touch with Greg and asked if he would share some of his favorite experiences and contagious passion for one of the world’s most captivating destinations. Here’s his first post for Daytripper: a true taste of a safari from a born and bred South African. Begin: After arrival at Johannesburg’s Or Tambo International Airport, you will be met and expedited through immigration and customs before transferring to your awaiting small aircraft flight down to the greater Kruger National Park and one of Lederle Safaris’ favorite properties, Singita. After touching down in the bush, it’s time to meet your guide and tracker who will drive you to the lodge for check in. You may find it challenging to tear yourself away from your luxurious suite! Eat: It’s time for lunch, your first incredible meal at Singita - complemented with a glass of wine. After, there’s time to unwind and relax and enjoy the property. High tea is served before the first game drive. Choose tea, coffee, or perhaps a G&T (you are of course in Africa) to quench your thirst before you head out with your guide and tracker. Drive: At first, on the drive, your senses will not be attuned to the subtleties and signs that allow only a trained eye and ear to locate the animals. Your guide will introduce you to elements of the bush; as well as some of the more common creatures and birds.This region of the greater Kruger Park is full of game and the big predators that everyone is so eager to see. On your first drive it is likely you will see more than one of the high profile animals of Africa! But remember, a safari is so much more than just seeing lions; it is one of the finest ways to recharge your batteries. Refreshments: Before heading back to camp, stop for a drink, a sundowner, as you watch the sky turn shades of red, pink and orange. Using a spotlight on the return to camp, you might spot some of the more nocturnal creatures and hunting predators – particularly the cats. Back at camp, another gastronomic masterpiece awaits, paired with one of the finest wine collections on the continent. Dawn Drive: The day starts before sunrise, so head down to the bar area first for a wake up caffeine fix! Grab a ‘to go’ cup and a snack and head to your open Land Rover for another adventure out in the bush. Early mornings reveal the nighttime movement and activity of the animals—your guide will point out the fresh tracks all over the roads and pathways. It is here that your exposure to the art of tracking reveals another world. Learn what makes a track older or fresher, how to recognize the differences between the mark of a cat and a hyena, the difference between a hippo and a rhino track and even the direction the snake was moving by looking at its smudgy track. All this and more are brought to light by the skills and perceptive eye of the guide and tracker. Rest Stop: Stretch your legs as you stop in a picturesque location and alight from the game viewer to soak up some sun with more needed coffee, tea or hot chocolate – add a splash of Amarula, a South African cream liqueur, for good measure. Other Activities: Back at camp you can enjoy a relaxing massage to rid your body of any lingering stress or jet lag. For the seriously active there is a gym to keep the pounds off that most camps are trying to get you to gain. Or head out on a mountain bike, with an armed guide, to see a different side of safari from 2 wheels. Community visits and shopping at the Singita Boutique and Gallery can be arranged, as well as archery or perhaps an intimate wine tasting with the Singita sommelier. Although the options are endless, however, having an afternoon siesta is often the order of the day for most considering the early morning start. Afternoon Drive: Your afternoon finds you once again heading out in search of more that Africa has to offer. For anyone, no matter how often you have been on safari, it is always with amazement that you find yourself spending time in the company of Africa’s animals. Of course the Big 5 are the main draw—the lion, elephant, cape buffalo, leopard and white/black rhino—a term coined by America’s 26th President Teddy Roosevelt. (Not in reference to their size but rather to their ferocity during a hunt.) Yet, seeing giraffes, entertaining mongooses, and hippos lazing on the riverbank can be just as much fun, in addition to one of the greatest varieties of birdlife in the world. Dine: On your way back to camp under the searching beam of the spotlight you’re in for a treat as you round a ‘corner’ to a scene almost mythical in appearance: over a hundred lanterns hanging from the trees, a roaring fire and a dining table set for a king and queen. Dinner under the stars, Singita style! The fully stocked bar and chefs preparing your meal over hot coals add to the comfort you feel, as you suddenly remember that one never knows what may be watching you from just beyond the realm of the firelight. Back at camp you retire to bed with a gentle smile on your face after enjoying another spectacular day in Africa. Walking Safari: Once again you rise before the sun, but this time with a different objective - you have your walking shoes on! To spend time on foot is one of the greatest thrills one can do on safari. It levels all playing fields and tunes your senses beyond what you have previously experienced. Your armed guide and tracker provide a quick briefing of do’s and don’ts before setting off down a pathway to see what the morning has in store for you. You are not necessarily in search of big game; rather the focus is on tracks, medicinal plants, traditional folklore and the smaller creatures that make up the complex workings of the ecosystem. As with most first time walks in the bush, you are accompanied by a little extra adrenalin, as you quietly become part of the wilderness. Your guide will point out hidden signs and treasures of being in nature, and then your guide gestures for you to drop down. He points ahead, and you search to make out what it is through the bush and grass. Suddenly your eyes pick up the shape of the creature you have been tracking all morning. It’s ears turning trying to pick up any sound, the long front horn moving from side to side as it searches the air for any feint scent drifting on the wind and then finally, as you hold your breath, the rhino lowers its long head to once again continue grazing. In silence, using only signs to communicate, you share time with this large and iconic animal as it goes about its business of grazing, only occasionally raising its head to allow its own senses to pick up on any potential dangers. Afternoon: On the afternoon drive everything comes together, you have become more aware of the African environment. Your ears have become accustomed to the subtle calls of a tree squirrel or the shrilling call of an ox-pecker revealing the presence of kudu, buffalo or rhino. What was at first a canvas painted in a single dimension now reveals subtle shapes and outlines of the animals that reside in the bush. Finale: Your last evening as you sit by the fireside listening to the guides tell stories of close encounters and close shaves with the animals in the bush. Stories of once-in-a-lifetime sightings unfold. And so you sink deeper into your chair, enjoying the crackle of a warm fire, the voice of the storyteller as you stare deep into the dancing flames and burning coals.The following morning as you take off from the airstrip with a vault full of memories and stories from the last few days, your only thought being: …when am I returning to this remarkable continent? Details: Lederle Safaris will arrange everything-- all your travel details from flights, transfers, accommodations—everything! You just have to get to Africa and then all is expertly taken care of till your flight back home. Lederle Safaris will create a unique itinerary for you, tailored to your tastes and desires—say fly-fishing for tiger fish in the Zambezi or gorilla trekking in Rwanda. Greg or one of Lederele Safaris' private guides can accompany you on privately guided trips adding to your experience and threading your trip through continuity to provide the best wildlife experience possible anywhere on the continent. Roots set firmly in Africa, and a combination of over 25 years in the business, the team at Lederle provides the very best in luxury travel to Africa.